My solution? Use Purdue colors in a fun scrappy pattern. 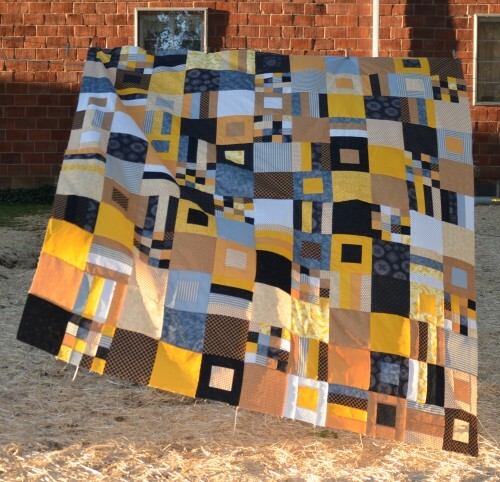 I ended up using the Squares & Strips quilt top tutorial from Cluck, Cluck, Sew! and I love the way the quilt turned out. I LOVE this! It turned out just great! I think it is super cool! Boiler up!